I was in Urban Outfitters on Saturday killing time when I realised they had opened their third floor as a their new sales section,it was full of amazing finds but I could resist this dress. It has sheer paneling,an amazing V cut and comes with a slip,and best of all? It was a tenner. I added this ebay belt to give it a little more definition and added this amazing (also ebay) necklace. There were still plenty of these in the Belfast store amongst other fab pieces so head down if you want to get your hands on some bargains. I'm so glad to see that its getting brighter earlier and for longer so hopefully spring will be good to us! A quite post on my new boo,I spotted this amazing box bag during my visit to Dr Martens and fell in love. It'll be featured in many outfit posts to come but for now its sittin pretty on my desk where I can admire it. Today I dropped into the Dr Martens store in Belfast,it's been open for a few months now but I had never been untill today,I had no idea such a gem was just around the corner. I instantly fell in love. This two floor store is a haven for Dr Marten lovers. I had no idea there were so many styles,and the S/S piceces really caught my eye,loads of floral prints and cut out brogues. The bags were by far my favorite picks from today's visit,structured and body with metallic trim. This was my fave,it's so not my usual style but I think that's what I loved the most about it. The boots were popular among workers such as portmen,police officers and factory workers. By the early 1970s,skinheads started wearing them, and by the late 1980s, they were popular among mods,punks,some new wave musicians. Now they are worn by anyone and everyone,all over the world and all over Belfast. I made a quick vid,so if you want a good look around,check it out! Another super quick outfit post-by the time I was free to take some shots it was dark again,thanks for that Belfast. I'm not gonna lie,I love these leggings/flares/crazies. My boyfriend hates them,i'm sure a few other people do too. I feel like a mermaid in them,which can't be a bad thing - and I got them in forever 21 for a tenner! Amazing. I spent today with the Karma team,filiming a promo vid with fellow blogger Gemma from That Belfast Girl. It was so fun,all I did was laugh and pretend to be ghetto with Gemma. 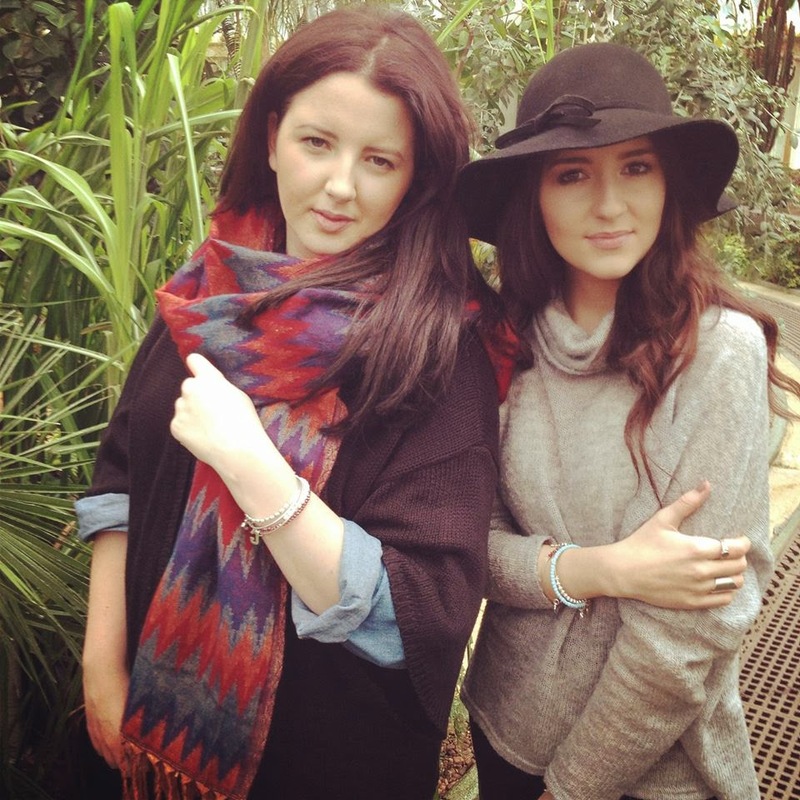 A pic from today wearing our fave Karma stacks. Big thanks to the Karma team,can't wait to see the video! I'm just back from a great long weekend in Dublin and I thought i'd share this quick OOTD. I had the best time ever,ate way too much and cleared out forever 21-what else could a girl want? I was also able to drop into Roelle in Newry to have my colour matched for my Gold Fever extensions which i'm so excited for. Gold Fever are the latest brand of bonded extensions to come from Katie Jane Goldin,winner of the 2013 young business woman awards. I will be uploading a video of the whole process from start to finish as well as answering the most common questions asked about bonded extensions,so stay tuned! I was lucky enough to receive a fab blogger box from my fave people at Argento as a valentines gift! Spa treatment voucher for The Merchant Hotel,Belfast. I'm feeling a little sick at the moment,so this was the perfect pick me up. My faves have to be the bracelets and the selfie stick which is perfect because I'm going to Dublin for a few days with my boyfriend next week,he'll be sick of the sight of it! Argento were also kind enough to send me a code that you can use online so you can receive 20% (excluding Pandora and Nomination) just enter LOVE20 at the checkout- and if you spend over £50 you get a free selfie stick! (It's amazing i'm obsessed already). As always a massive thank you to Argento for their continued generosity with a shoutout to my girl Margaux in particular!